*…Proof of Reliable Objective Indicators — of above-average (~1%) success likelihood? Of course, we all love those startup success stories of entrepreneurs who “risked it all” and/or “left the security of a well-paying job” to pursue their startup dreams. But those successes are the outliers, the rare exceptions. You rarely hear about the MAJORITY of instances where that decision leads to unnecessary pressure/stress/depression and/or prematurely running out of money and/or giving up on that startup dream. Yes, when you get to a point where you’re taking VC funding, they will likely require you to be all-in on that particular startup. But we’re talking about way before then — in the pre-funding / pre-revenue / pre-traction / Idea Stage of startups — where ~99% will fail anyway. A) You don’t HAVE a business to scale yet! Why not cross that bridge when/if you come to it? Because if you make decisions now (to go ALL IN, full-time) based on what is theoretically best for your theoretical company, a year or more down the theoretical road when/if you actually have a business to grow and scale, well, then you’re making decisions based on something that statistically has a ~99% chance of never even happening either way! 3) Smart investors diversify to mitigate risk; Smart entrepreneurs can too! 4) Speed to market can be over-rated. Is the startup a product/service/industry where “first to market” is a crucial success factor? If not, then yes, you CAN likely do it part-time (sacrificing weekends and nights) with minimal (if any) effect on your likelihood of success. Let’s say that full-time (40 hours? 50 hours?) would get you launched in 3 months; then half-time (20 hours? 25 hours?) would get you launched in 6 months. Not AS fast, but likely still fast enough to not be a deal-breaker — plus you’ve still got the security/income of your other full time job! 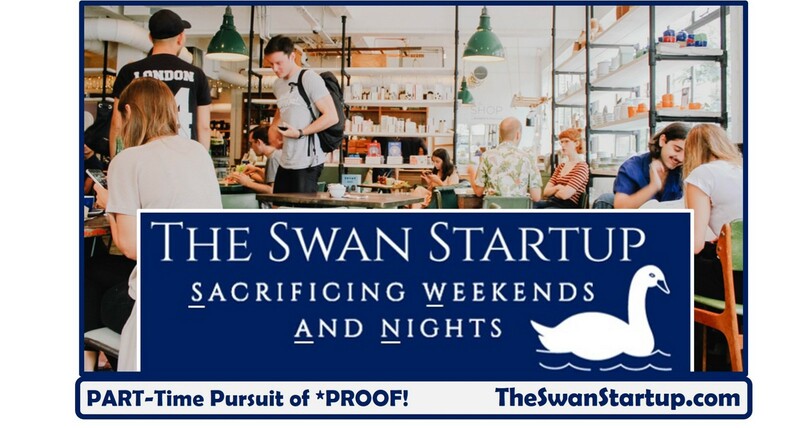 Ideally, many of our part-time “SWAN Startups” entrepreneurs (partners, managers, marketers, co-founders, etc.) will already be established experts in certain areas (having already spent time learning on the dime of their full-time job) so they can hopefully work faster and more efficiently and we’ll hopefully eliminate some traditional learning curves for first-time entrepreneurs. Additionally, our startups will benefit from such ReThinkingStartups.com strategies as shared resources, economies of scale, a cross-promotional network effect — and will make use of some valuable existing resources and areas of great experience / expertise. 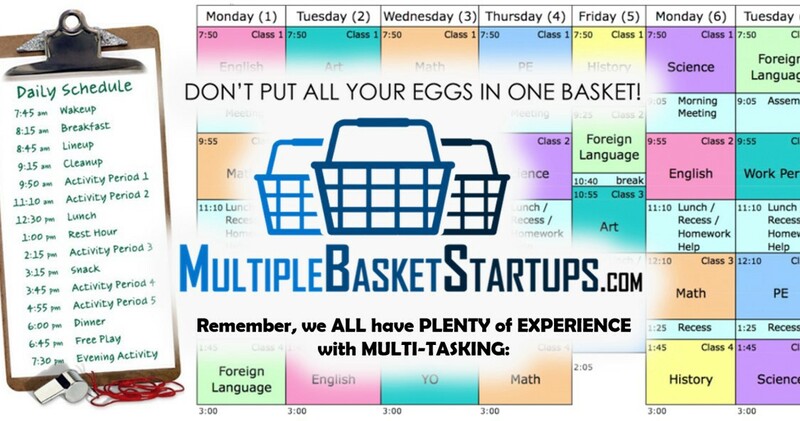 If made a priority, MOST people can find plenty of extra time in their week (particularly those willing to “Sacrifice Weekends And Nights”) to work on on a part-time startup! In Conclusion / Contact Us / Work With Us!